The fog of war surrounding D-Day and Operation Tiger provides cover for one of Billy Boyle's grisliest investigations. 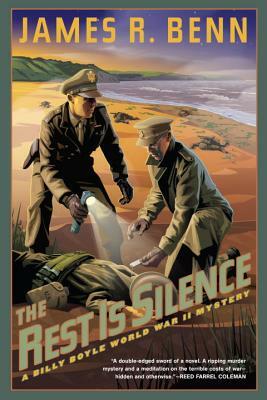 When an unidentified corpse washes ashore at Slapton Sands on England's southern coast, US Army Captain Billy Boyle and his partner, Lieutenant Piotr "Kaz" Kazimierz, are assigned to investigate. The Devonshire beach is the home to Operation Tiger, the top-secret rehearsal for the approaching D-Day invasion of Normandy, and the area is restricted; no one seems to know where the corpse could have come from. Luckily, Billy and Kaz have a comfortable place to lay their heads at the end of the day: Kaz's old school chum David lives close by and has agreed to host the two men during their investigation. Glad for a distraction from his duties, Billy settles into life at David's family's fancy manor, Ashcroft, and makes it his mission to get to know its intriguing cast of characters. Just when Billy and Kaz begin to wrap up their case, they find themselves with not one soggy corpse on their hands but hundreds following a terrible tragedy during the D-Day rehearsal. To complicate things, life at Ashcroft has been getting tense: secret agendas, buried histories, and family grudges abound. Then one of the men meets a sudden demise. Was it a heart attack? Or something more sinister? James R. Benn is the author of the Billy Boyle World War II mysteries. The debut, Billy Boyle, was named one of the top five mysteries of 2006 by Book Sense and was a Dilys Award nominee. Subsequent books have received starred reviews in Publishers Weekly and Library Journal, and been listed as the Bookpage Mystery of the Month. Two have been tagged as a "Killer Book" by the Independent Mystery Booksellers Association. A librarian for many years, Benn lives in Hadlyme, Connecticut, with his wife, Deborah Mandel. "[A]n enthralling mystery combined with an interesting bit of history with the usual flair and clarity of the prior entries in the series." "James Benn has written a gripping and entertaining mystery, but also . . . realistically and sensitively explores the rarely discussed race relations and power struggles in the U.S. Armed Forces in World War II Britain." "[Benn] achieves an impressive authenticity of time and place . . . without sacrificing a sense of underlying urgency, and it’s his engaging characters, complex whodunit(s), and subtle humor that will sustain the more traditional mystery reader. Those who are first initiated to Billy Boyle with A Blind Goddess will find it hard to resist the desire to revisit the author’s earlier offerings." "Benn's thoroughly researched exploration of segregation in the wartime armed services is revealing and sensitively handled. Another nice mix of human drama and WWII history." "A Blind Goddess is a gripping, exciting entry in this outstanding series . . . The disparate storylines are clever and credible in their setup and execution, resulting in a superior mystery that fans of the series will thoroughly enjoy."